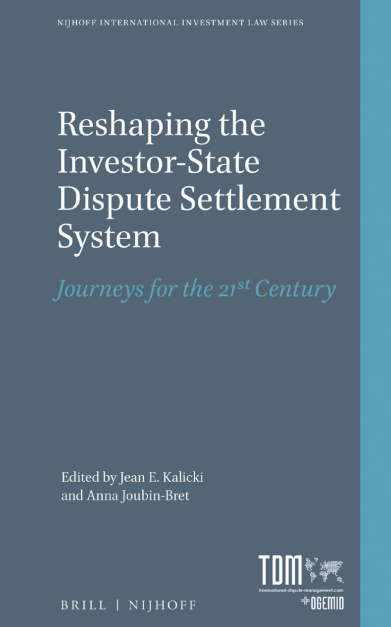 In Reshaping the Investor-State Dispute Settlement System: Journeys for the 21st Century, editors Jean E. Kalicki and Anna Joubin-Bret offer for the first time a broad compendium of practical suggestions for reform of the current system of resolving international investment treaty disputes. The increase in cases against States and their challenge to public policy measures has generated a strong debate, usually framed by complaints about a perceived lack of legitimacy, consistency and predictability. While some ideas have been proposed for improvement, there has never before been a book systematically focusing on constructive paths forward. This volume features 38 chapters by almost 50 leading contributors, all offering concrete proposals to improve the ISDS system for the 21st century. Readership: All interested in international arbitration, investment policy and reform of the investor-State dispute settlement system, including academics, arbitrators, practitioner, in-house counsel, NGOs, public officials, policymakers and treaty negotiators.